This primitive tribal kilim is a high-impact statement piece with its bold, saturated colors and abstract, contemporary lines. Antique Small Scatter Size Persian Kilim Rug, Country Of Origin: Persia – This gorgeous kilim rug is bold and beautiful. The stark contrast between the red and blue colors draws the eye, and the jagged, tribal triangles and squares are enough to make you snap to attention. The zig-zag designs turn a soft Persian rug into a pointed statement: While there’s no way a rug can actually cut, this one certainly makes a sharp statement. As far as Persian rugs go, this one is much simpler than some of its contemporaries. That is not a bad thing. Some antique rugs, especially the more “iconic” ones, are so elaborate and busily designed that the eye has no idea where to look. With an understated beauty such as this one, the design is clear and crisp. 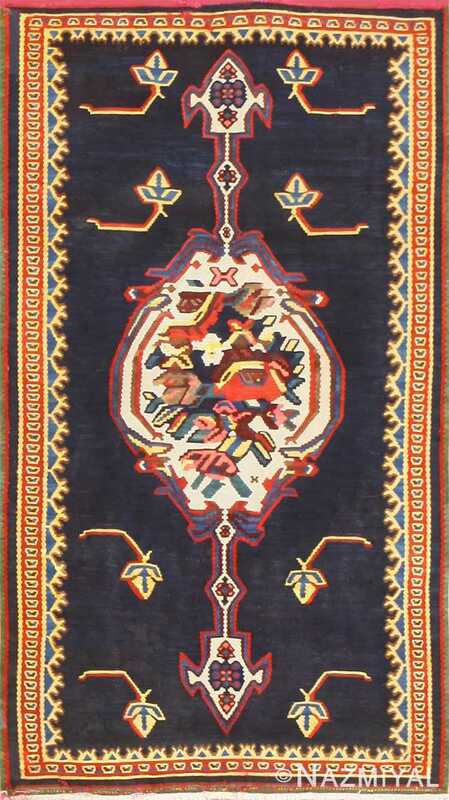 Rather than being elaborate, this small scatter size antique Persian Kilim rug is highly memorable. A child could recreate its lines in crayon. However, its charm far surpasses its subtle simplicity. 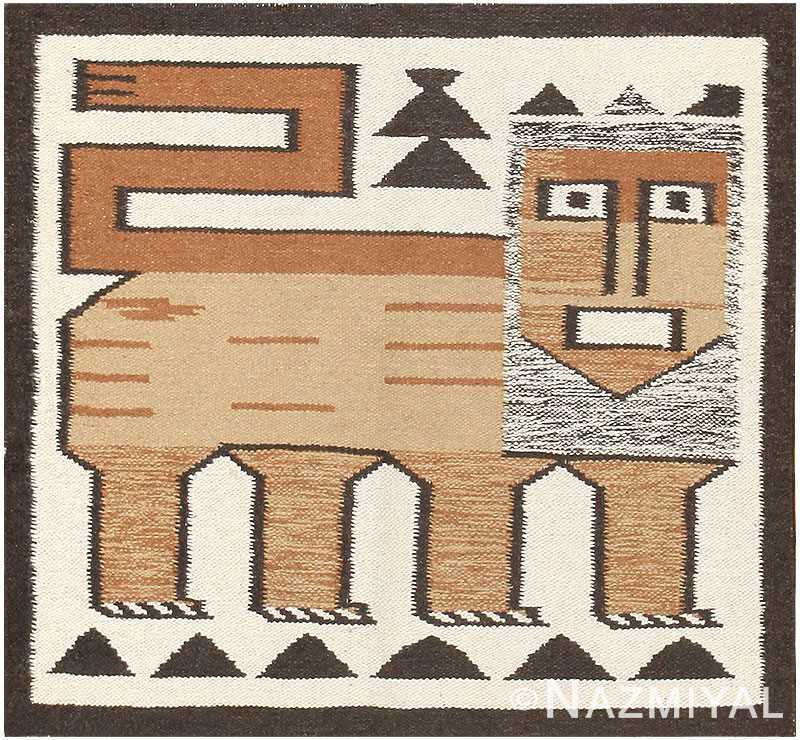 This tribal rug is perfect in its imperfection. What I mean by that is this: While at first glance one might perceive aspects that look like design flaws and color errors, the keen eye can see that these are actually signs of a personal, handwoven touch that is often sorely missing in this modern, over-sterilized world. 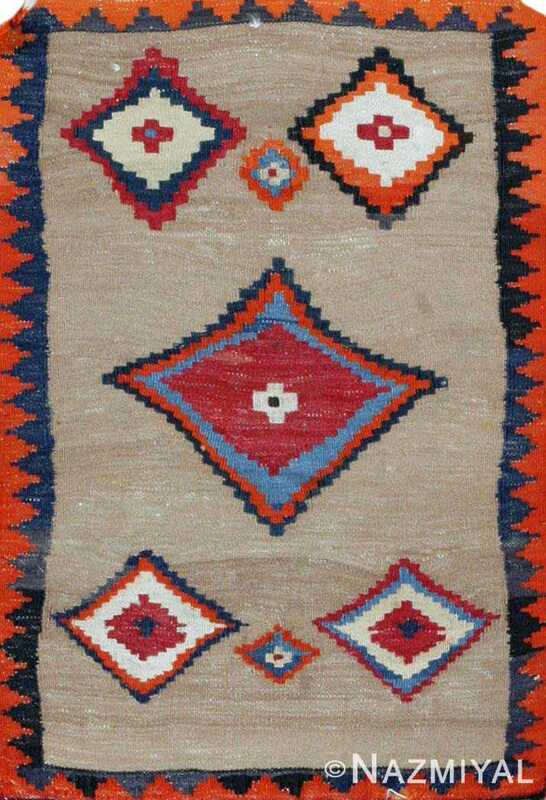 This small scatter size antique Persian Kilim rug is very nicely-preserved. 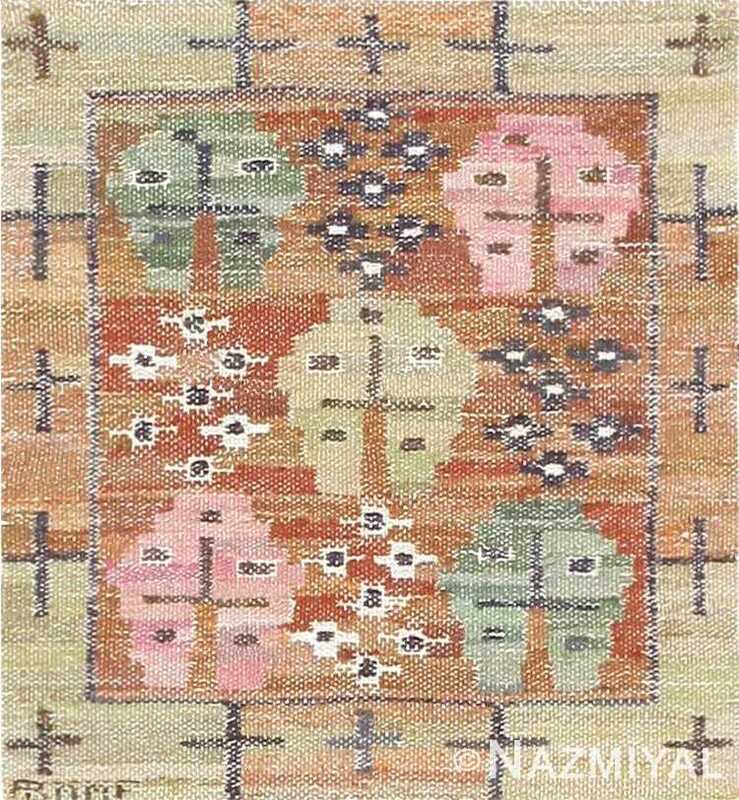 With a design forming a subtle synthesis between East and West, between subtle and bold, and between antique and modern, an antique rug such as this one would fit right in anywhere — be it a Middle Eastern bazaar, a North American home, a coffee shop, or a slightly kitschy office.